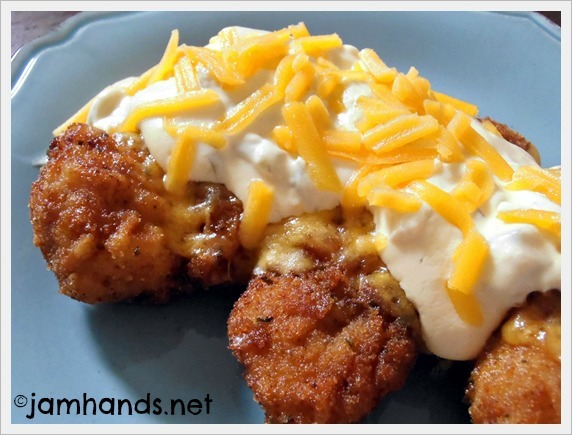 A few weeks ago I made this delicious dinner recipe from Lori's Culinary Creations. My one change was that I didn't add any bacon to the sauce. If you want bacon I would recommend giving a sprinkle of it over the top once it is plated so it stays firm and crispy. Many thanks to Lori for this recipe! 1. Put the egg and corn meal in two different coating trays. Dip the chicken pieces in the egg, then into the corn meal. 2. Place the chicken in the skillet with a small amount of cooking oil and cook over medium heat, turning occasionally, until crust is crispy and chicken is no longer pink on the inside. 3. In a skillet with a small amount of cooking oil, add the jalapenos and saute until soft. Add the chicken broth, garlic, both cream cheeses and stir until smooth. Add the cheddar cheese and blend until melted. Plate the dish and garnish with a small amount of shredded cheddar if desired. Recipe from Lori's Culinary Creations. Sharing this recipe at the following fun link parties. I adore anything jalepeno popper themed! This sounds amazing! Ali I am so glad you enjoyed the chicken!! It is still on Hubby's top 10. Have a great week and a fun 4th of July. Holy cow Ali, this dinner looks delicious! 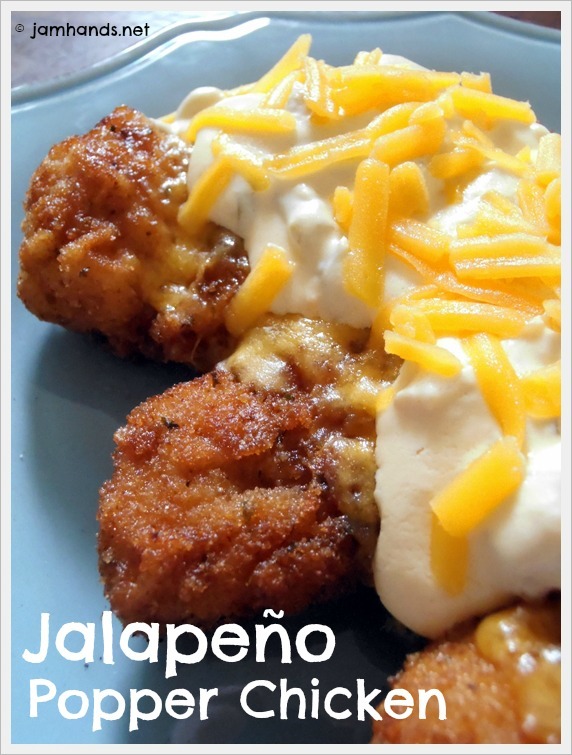 Love jalapeno poppers, how could I not love this chicken! This sounds delish and easy! the sauce is awesome! reminds me of a dish called molcajete that i ate while in california. thanks!